Who Does This Studio Monitor Speaker Appeal to? The quality of your sound system truly does mean a lot to you. You need to make sure that you have the best sound setup that you possibly can in order to enjoy it to the fullest. If you have been looking for a new studio monitor to help give you the beefy sound that you desire, then you should know that there are plenty of options on the market. Some of the studio monitor options are incredibly high in price, though. If you are not into the idea of buying prohibitively expensive speakers, then you may want to look into some more affordable options that still offer amazing quality. Affordable studio monitors are available that do not force you to sacrifice the overall quality of the experience. When you purchase something such as the Mackie MR824 studio monitor, you can expect to enjoy excellent sound quality. 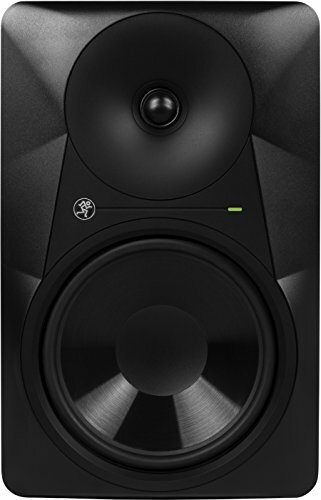 Studio monitors such as this will prove to be useful to many different types of people. Of course, studio monitors are going to be important for professionals. You need high-quality sound equipment such as this when you are performing in a band. They are also capable of providing people with an audiophile listening experience. Whatever your needs are, you should know that this studio monitor will prove to be beneficial. Before moving forward with a purchase, you will want to make sure that this is a good fit for your situation. This Mackie MR824 studio monitor is very reasonably priced for what it is but it is still a lot of money to spend. It is smart to consider all of the details before moving forward. Keep reading to look into all of the intricacies of this product to see how well it matches up with your needs. A studio monitor such as this is going to appeal to musicians the most but its appeal is not limited to musicians. If you are a fan of music and want to have a fantastic listening experience, then this is going to be a good purchase. 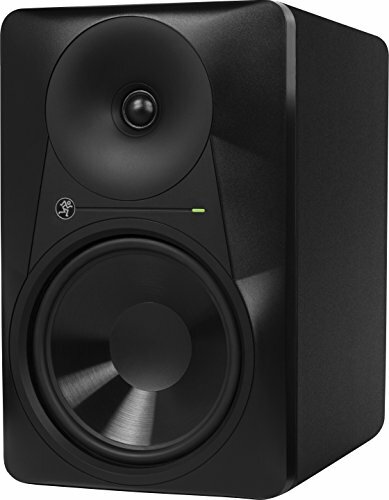 People purchase studio monitors such as this to help with their audiophile listening setups. It allows them to ensure that the sound is mixed properly and is going to sound great. People also use these to help them when they are recording music or composing music. A high-quality studio monitor is going to allow you to hear all of the little details in the music. You will be able to enjoy the full depth of the sound so that you can fine-tune your musical compositions to your liking. It is not uncommon for musicians to hook their studio monitors up to their instruments or to use them to play back recorded audio. Professional studio setups will make use of high-quality studio monitors such as this too. They will be able to use the fine sound of these monitors to ensure that the mixing of the music goes perfectly. When you are recording songs, you need a great studio monitor to get the best result. This one is professional-grade and absolutely will not disappoint. Even churches will be able to make use of these high-quality studio monitors. 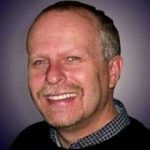 They will help to ensure that the sound of the worship music for your church service is absolutely perfect. This will make it easy to keep things mixed properly and the clear sound will be appealing for the entire congregation. This studio monitor produces excellent results so it is certainly going to offer one of the best audiophile experiences on the market. Those who collect vinyl records will likely fall in love with this studio monitor as well. Hooking this studio monitor up to your record player will allow you to get some truly stunning sound. No matter what type of music it is that you like to listen to, it will give you the smoothest sound. It has the right capabilities to play hip hop, rap, rock, metal, jazz, country, and any other genre of music while maintaining the right sound mix. Some people like to hook high-quality studio monitors such as this up to their home theater systems too. It can give you excellent sound for watching movies or the big sports game. You can also enjoy the audio quality that this studio monitor provides to enhance your video game playing experience. It truly has many possible implementations outside of an actual studio environment. Equipped with Mackie's proven logarithmic waveguide design. Ultra-wide dispersion for enhanced stereo imaging and listening sweet spot. This studio monitor only comes with the unit itself. You will be getting one studio monitor in the box and that is all. If you need any extra speaker cable or cords, then they will need to be ordered separately. If you wish to own two of these studio monitors, then there is a version of this product that offers two in one box. Keep this in mind if your setup would benefit from having two of these high-quality studio monitors. This studio monitor is definitely made to give you a high-quality experience. You can expect to have a great time using this unit. It is equipped with a special logarithmic waveguide design that Mackie has created. It has ultra-wide dispersion for enhanced stereo imaging. This gives you the best listening sweet spot that you could hope for. You will be able to make use of the 1” silk dome tweeter on this unit. It provides you with super fast transient response. This helps you to achieve excellent vocal clarity and any high-end audio will be detailed and clear. The 8” woofer gives you the dynamic low-frequency response that you are looking for too. This studio monitor will give you 65 watts of bi-amplified class A/B amplification. It has a frequency response of 35 Hz to 20 kHz. To add to this, the unit has been built with acoustic space control and HF filters. This allows for your monitor to be optimized for the specific environment that you are in. 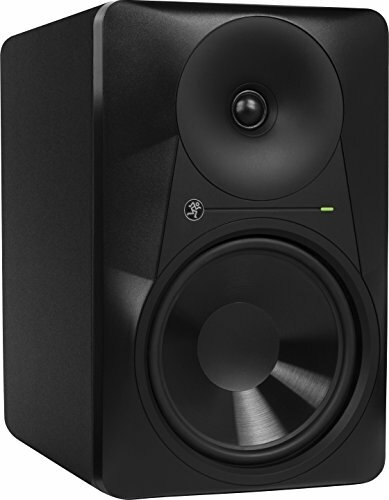 The Rockville APM8B is a good studio monitor to consider as a possible alternative. It could wind up working out nicely for you. For a little bit more than the cost of the Mackie MR824, you can get two studio monitors. This might wind up being preferable for your situation. Just examine the features of both so that you can think about what is going to work best for you. 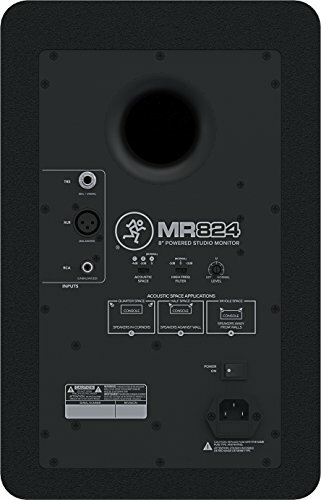 The Mackie MR824 is a worthy studio monitor that will work great for professionals and everyday individuals. Whether you need a good studio monitor for recording music or you want one to give you an audiophile listening experience, this will work out well. The price is good for a studio monitor of this quality and it will always offer you the best audio possible. Consider purchasing this one if you are in need. It should work out great and you will be thrilled with the overall quality of the unit.